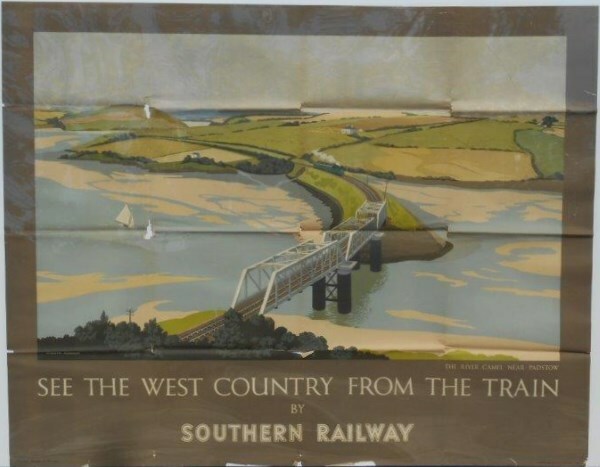 Lot 157 Q/R Poster 1947, Southern Railway "See The West Country From The Train" by Hesketh Hubbard. A train approaching the short viaduct over the River Camel near Padstow. Some losses on worn folds and edges.